This has to be the biggest investment apartment I have marketed for years. At 209sqm*, there is space everywhere, including 5 over-size bedrooms. No wonder the tenants love it here and it's always easy to rent! In this super central location, your tenants can easily walk to everything they need, be it university, work or play. Offering 5 enormous bedrooms and two bathrooms, plus separate eat in kitchen, large lounge and a separate laundry, there is plenty of scope for adding value through cosmetic renovations, and possibly adding a bedroom and a third shower. - 2 bathrooms, one with an actual bath! This is a very simple investment... great location, huge floor plate, massive upside for adding income and value... it all adds up to money in the bank. 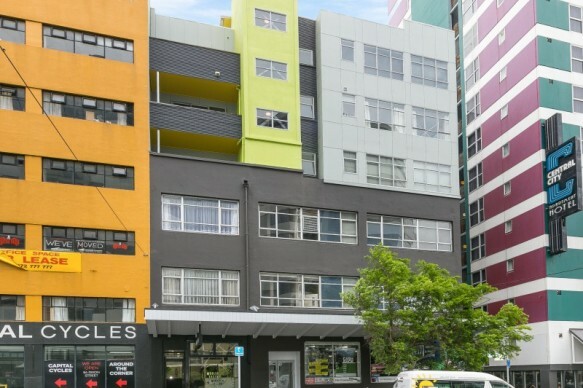 This massive central city apartment has been a greater renter for years, but our southland based vendor has other projects, so it's time for it to go. Come and check it out and see the potential for yourself!